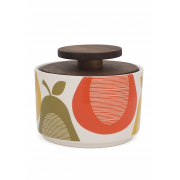 Bring a touch of style to your table with this sweet looking sugar bowl from Orla Kiely. This sugar bowl comes with a wooden lid. 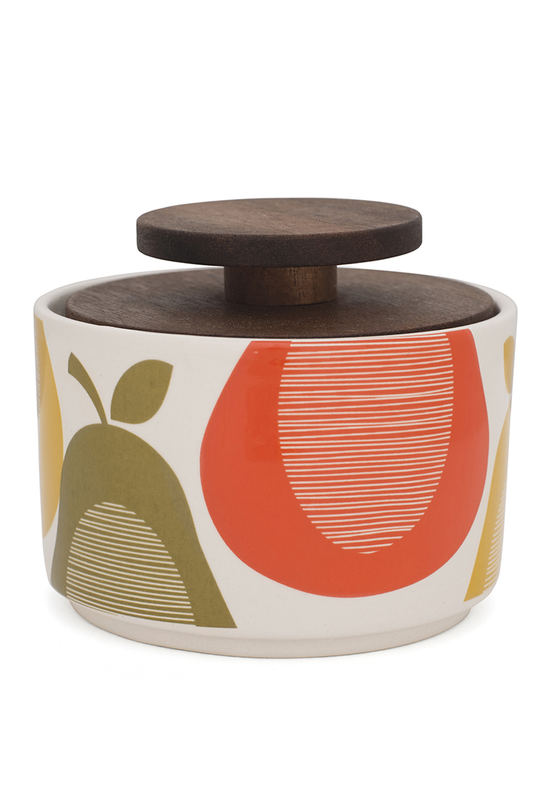 The ceramic sugar bowl has a colourful pear design. Other matching items from the collection available to purchase separately.